Mel Gibson's historical epic follows the decline of the Mayan civilization 600 years ago, just before Spanish invaders conquered Central America. The story revolves around one native who fights to save his culture from the outsiders. $15.005 million on -unknown- screens. 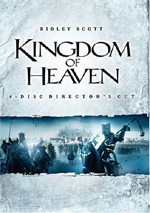 With 2004’s blockbuster hit The Passion of the Christ, Mel Gibson showed that audiences would go to see a non-English language period piece with subtitles and graphic violence – as long as it dealt with a subject near and dear to the faith of millions. Apparently the Mayan movie-going audience is slightly smaller than the Christian crowd, as 2006’s Apocalypto used a similar technique but didn’t exactly become a smash. Indeed, the flick took in $320 million less than Passion. Still, $50 million for a potentially off-putting flick like this isn’t bad, especially after all of Gibson’s bad press in 2006. Set in a primitive Central American culture, Apocalypto focuses on Jaguar Paw (Rudy Youngblood), the young adult son of Flint Sky (Morris Birdyellowhead). He lives with pregnant wife Seven (Dalia Hernandez) and young son Turtles Run (Carlos Emilio Baez). During a tapir hunt, Paw and his team encounter another clan as they traverse their territory. Driven from their land from an unspecified ravaging force, that group bears the stink of fear, and this meeting leaves a stain on Paw’s psyche. Later on a rival community attacks. After Paw helps Seven and Run hide in a pit, he tries to help fight off the enemy but gets captured instead and sees them kill his father. The attackers slay many others and capture the survivors, including Paw. This leaves Seven and Run stuck in the pit and turns Paw into a slave. The rest of the movie follows his plight as well as his attempts to escape and save his family. When I saw previews for Apocalypto, I felt absolutely no interest in it. Much of that came from the subject matter, whatever it was. The trailers didn’t make it very clear what – if any – plot would be found here, as it focused on the Mayan cultural elements without any indication of story or the lack of English. The trailers did damage in other ways as well. It gave the whole project a trippy feel, like it’d deal with a psychedelic view of the Mayans. That didn’t appeal to me at all, as I felt no desire to watch some Mayans flip out on ‘shrooms. I think that the trailers did a disservice for Apocalypto. They failed to tell us much about the movie and really made it out to be something it wasn’t. Instead of some disjointed acid trip, the film presents a basic – and effective – adventure of family and culture. Despite its unusual setting, Apocalypto really offers a pretty simple tale. This is a fairly standard action flick, as it bases most of its material on Paw’s escape. That makes it typical chase fare in an atypical setting. Because of that, I might accuse Apocalypto of a lack of creativity. After all, there’s nothing particularly deep or original about the story, the characters or the scenarios. We watch Paw try to flee his captors and see the methods he uses to stay alive. Despite that, I think the film works for two reasons. First, Gibson knows his stuff as an action director. He makes those sequences come to life with vivacity and drama. We remain eager to see how Paw survives despite the odds against him, and the unusual setting makes those sequences more inventive. After all, he can’t rely on the modern technology; it’s not like he’s suddenly going to find an AK-47 to solve his problems. Gibson uses the material at hand to stage some inventive and exciting action bits. I also really like the unusual quality of the Mayan setting. Those elements create some of the movie’s most interesting aspects. It’s nice to get a tale placed somewhere so foreign to us, and I appreciate the fact that Gibson doesn’t portray all the inhabitants in the usual patronizing “perfect native peoples” way typical of flicks like Dances with Wolves. We see the good and the bad in the Central Americans; they're not all painted as fine folks. Gibson creates a realistic foreign culture. On the surface, Gibson’s choice to use only native language here seems gimmicky. In the case of Passion, I thought it was unnecessary, as the film would work as well – and perhaps better – without the intrusion of the subtitles. However, for Apocalypto, I agree with his decision to use only Mayan language. It helps involve us in the culture better and allows the material to put us in the proper place. I could live without some of the heavy-handed environmental messages found in Apocalypto, but overall, I think the movie succeeds. It uses an unusual setting and subtext for its action story and manages to entertain along the way. The film never becomes a classic, but it has a lot of positives behind it. 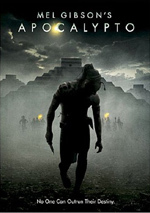 Apocalypto appears in an aspect ratio of approximately 1.85:1 on this single-sided, double-layered DVD; the image has been enhanced for 16X9 televisions. From start to finish, the movie boasted a terrific transfer. At all times, sharpness looked excellent. Not even wide shots suffered from any form of softness, as the film always appeared crisp and detailed. I noticed no jagged edges or shimmering, and edge enhancement seemed absent. I also detected no source flaws, as the flick was clean and fresh. In terms of colors, lush greens dominated the movie’s first act in Jaguar Paw’s village, but the image went with more of an arid, bleached look after his capture. The film executed these and other tones with nice depth. Similar positives accompanied the flick’s deep blacks, and shadows showed solid clarity. I found no reason to gripe about this fine transfer. For the audio of Apocalypto, we got both Dolby Digital 5.1 and DTS 5.1 soundtracks. I thought the pair seemed identical. To these ears, I found nothing substantial to differentiate between the pair. And that was fine, as both mixes sounded quite good. The soundfields opened up well to immerse us in the jungle setting. This created a nice sense of general atmosphere that kicked into higher gear during the many action sequences. Of course, these didn’t feature the usual machinery we’d get in flicks set during modern times, but the mixes used the natural elements well to surround and involve the viewer. Add to that excellent stereo imaging for music – bolstered by percussion in the rear – and the soundscapes contributed a lot to the experience. Audio quality also excelled. Bass response seemed deep and firm, as the music and effects boasted solid low-end material. Effects remained lively and tight, while music was dynamic and bold. Obviously I couldn’t judge the intelligibility of the Mayan speech, but the lines appeared to be concise and natural. The soundtracks of Apocalypto worked very well. In terms of extras, we start with an audio commentary from writer/producer/director Mel Gibson and writer/co-producer Farhad Safinia. Both sit together for this running, screen-specific piece. They discuss sets and locations, cast and performances, historical research and influences, and various production topics like effects, cameras, makeup, and stunts. The commentary offers some decent notes but tends to be pretty superficial. We don’t learn a whole lot here, as Gibson and Safinia stay with pretty basic material. I hoped to learn more about the project’s origins and development as well as issues with language and other meaty subjects. Instead, we get a track in which we hear a lot about what Gibson and Safinia like in the film as well as other general bits. There’s just not a lot of substance in this pretty mediocre commentary. One Deleted Scene lasts 39 seconds. 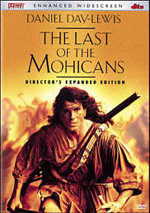 It shows more of the film’s protagonists as their captors lead them toward their destination; they see a little more of the ravaged land and its effects. The scene doesn’t add anything much. We can watch the scene with or without commentary from Gibson and Safinia. They give us some basics about the clip but don’t communicate why they cut it from the end product. Finally, Becoming Mayan: Creating Apocalypto fills 25 minutes, 12 seconds. It includes movie clips, behind the scenes footage, and interviews. We hear from Gibson, Safinia, unit production manager Anna Roth, consultant Dr. Richard Hansen, costume designer Mayes Rubeo, makeup designer Vittorio Sodano, hair and makeup designer Aldo Signoretti, weapons master Simon Atherton and actor Raoul Trujillo. “Mayan” examines research and attempts at authenticity, locations and related challenges, makeup, sets, costumes, and weapons. Like the commentary, “Mayan” includes some useful information. However, it also comes with a similarly high level of praise for the project and its elements. This doesn’t become quite as annoying here, though, since a) it’s shorter, so there’s less time for fluff, and b) we get lots of good shots from the set to balance out the happy talk. I think Mayan offers a decent overview, but the emphasis on praise makes it less satisfying than I’d like. When I went into Apocalypto, I maintained low – and erroneous – expectations. To my pleasant surprise, the flick offered a lively action flick in an unusual setting that makes it something different. The DVD presents excellent picture and audio as well as average extras. Due to its violence and setting, Apocalypto won’t be for everyone, but I think the film achieves its goals.